Hey and Happy Wednesday! I am trying to get back into a normal blogging routine! Last week was so incredibly busy. I just didn't have time for much else besides family life and work but I am thankfully for the slower pace that this week brings. I am looking forward to some good food, time with my family, and of course, some adventure! 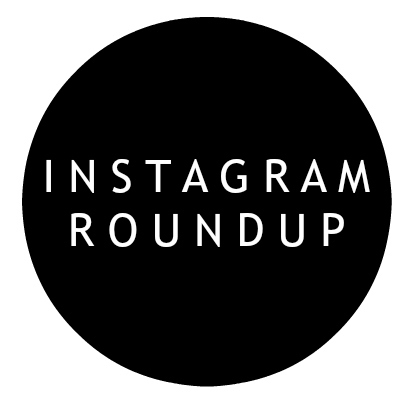 Today, I'm sharing my Instagram Roundup with outfits from the past couple of weeks. 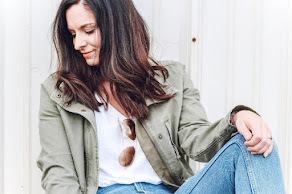 As I was going through these photos, I realized that I am basically living in this pair of jeans from Everlane, a brand that specializes in ethically made products that you can feel good about. I love the perfect dark wash and the high rise fit. I loved them so much that I had to buy them in black as well! I'm 5'5" and the regular length works perfectly for me. I also found the fit to be true to size. I can wear these all day long and they look just the same after 12 hours. No sagging or stretching out! 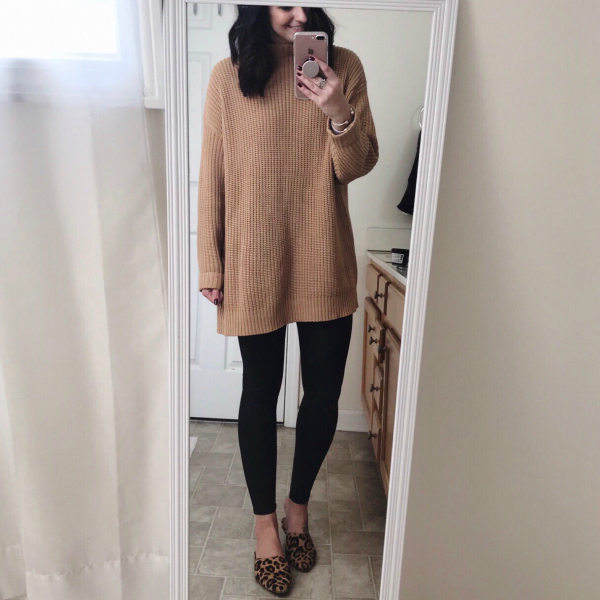 This sweater is my current favorite! I've worn it twice in the five days that I've owned it. It's so comfy and it's leggings friendly. The fit is oversized; I got a size XS/S. These heels are so perfectly festive! 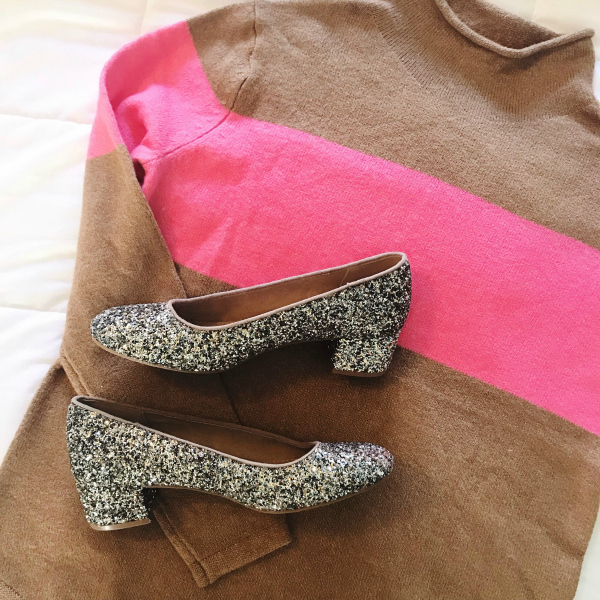 I don't really do traditional Christmas colors (I own zero red) so this fun glitter is the perfect way to add some holiday sparkle to my neutral style. 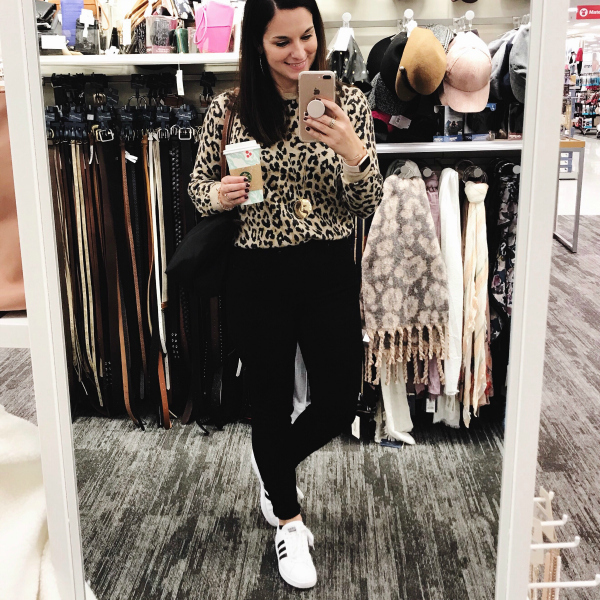 This is a typical mom uniform for me these days as a strive to look put together while remaining absolutely comfortable. These sneakers are comfy and cute! I sized down a half size. Black overalls make wearing overalls so much more chic! I have gotten so many compliments on this pair. Even a fourth grader told me that they liked them! I call that a win. 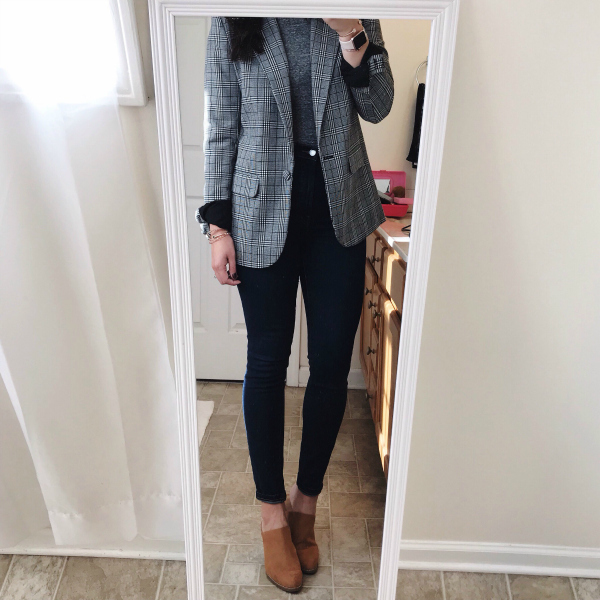 This blazer has been one of my most worn pieces recently. I've also been throwing it on over my work t-shirts for a more professional look. You can't go wrong with a plaid blazer! 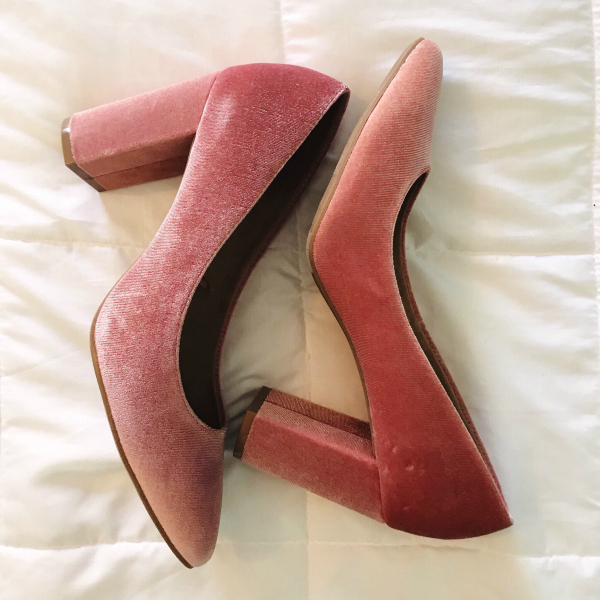 I think these heels were made for me! I love the color and the style so much. I think these also add a festive touch for the holidays! 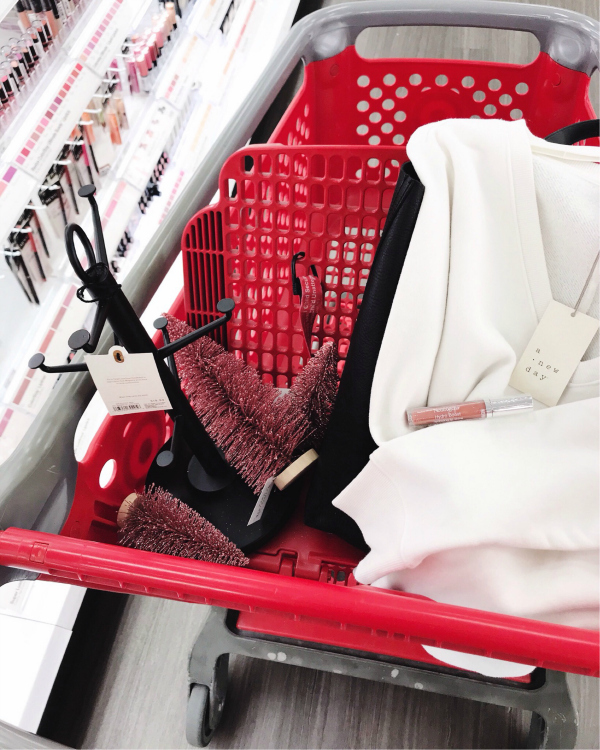 My friend treated me to a Target run for my birthday and it was so much fun picking out things that I would normally not buy for myself. This v-neck sweatshirt is so super soft! Pink on pink because why not?! 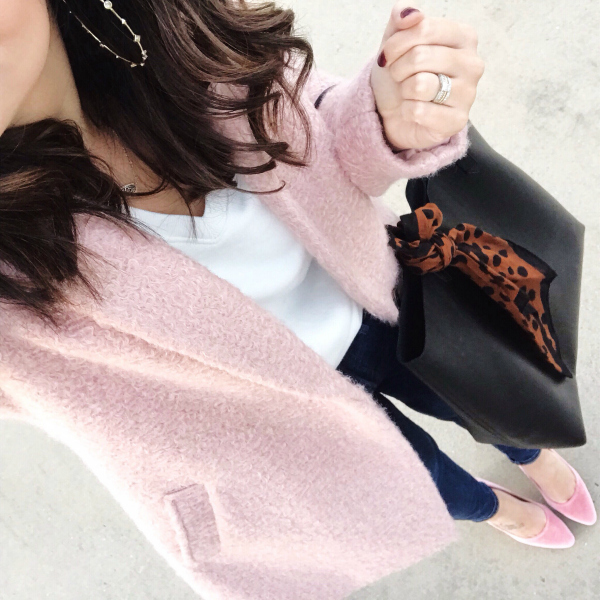 I love these pink jacket paired with my new pink heels. I kept the look casual with a sweatshirt and jeans. I love mixing fancy and casual! And, these jeans again. I have definitely already gotten my monies worth out of them! They retail for $68 but think about how many times a month you would wear a good pair of denim. I am all about the cost per wear ratio to help me decide if something is a good investment. 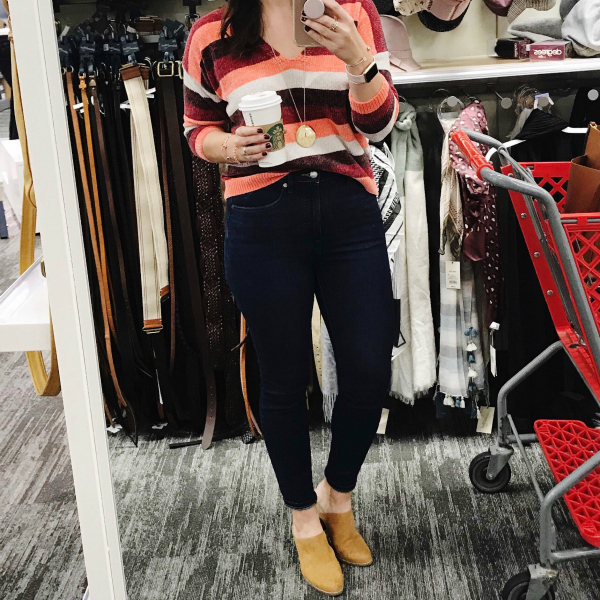 These jeans were a great investment for me because I wear them 2-3 times a week!